Even as web-scale companies push their infrastructure to accommodate the looming internet of things, big, established enterprises are moving to cloud in a big way. Just a few years ago, companies like Netflix(s nflx) and Zynga(s znga) were the poster children of cloud adoption while traditional, older enterprises still seemed to view cloud, especially public cloud, like it had cooties. What a difference a few years makes. If you needed proof that cloud is becoming the computer for big, older businesses, companies with security concerns and compliance worries, there have been a few bellwethers. The CIA selected Amazon(s amzn) Web Services, the public cloud giant, to build its own secure private cloud. General Electric(s ge), about as blue-chip an American conglomerate as you could find, invested $105 million in Pivotal, which is banking that big customers are finally ready to rip and replace existing gear in order to capitalize on the data generated and aggregated as the internet of things comes to fruition. That means a ton of investment in search of big returns. 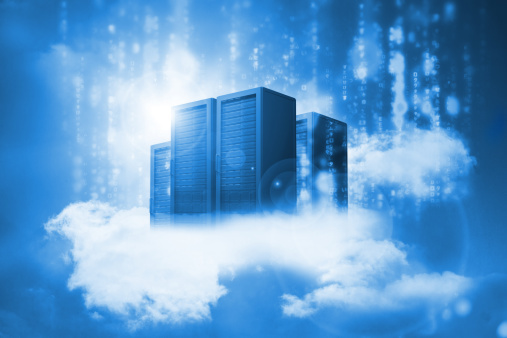 Researcher IHS expects enterprises to spend $235 billion on cloud architecture and related services by 2017, up 35 percent from the $174 billion it expects to be spent this year and triple the $78 billion spent in 2011. The acceptance of cloud as the go-to model for big companies will be a theme at Gigaom’s Structure show in June where we’ll talk to IT pros from Domino Brands, The Gap — and yes — GE about their cloud decisions and IoT plans. He saw that start to change in earnest in 2012, when more companies started to understand that “cloud” itself was more than just server virtualization writ large. And enterprise adoption grew in subsequent years when companies ran the numbers on how much it would cost to renew their in-house hardware versus “replatforming” or moving those workloads to a private, or even public cloud. Gigaom Research analyst Ashar Baig said the U.S. government’s “Cloud First” mandate in 2011, which pushed agencies to use cloud to streamline operations, cut costs and improve accessibility, was a huge driver. “The U.S. government is the biggest IT customer in the world and when it said 45 percent of all government data had to be in the cloud by 2014, people listened,” Baig said. And if there were any remaining doubt that big-time customers want their products to come in cloud form, just look at recent announcements from the legacy IT vendors: SAP(s sap), Oracle(s orcl), Microsoft(s msft) while building out their own clouds are also offering most of their software goodies on AWS as well. If anyone had predicted this even 3 or 4 years ago, no one would have believed them. So a few threads to watch — the IoT is spreading like kudzu and big enterprises are updating their infrastructure, largely through cloud adoption, in a way that should enable them to capitalize on it in the not-too-distant future. And don’t forget, the top cloud execs from the major cloud providers — Amazon’s Werner Vogels; Google’s Urs Hölzle; HP’s Bill Veghte; IBM’s Lance Crosby; Microsoft’s Scott Guthrie; Rackpace’s Taylor Rhodes; and VMware’s (s vmw)Bill Fathers will be on hand at Structure 2014 to talk about the enterprise cloud and their IoT plans. Don’t forget, Urs HÃ¶lzle said in the fireside chat at the recent Google Cloud announcement that these are early days for the cloud, and only 1% of the world has moved to the cloud … so GigaOm, I understand you need to sell tickets to Structure, but don’t overestimate the reality as it is today for the sake of your ticket sales!!! Great article! The race to the cloud is a reflection of just how far the enterprise has come in recognizing the importance of the cloud. The question still remains about whether some enterprises have the right systems in place to effectively support the adoption of the cloud.